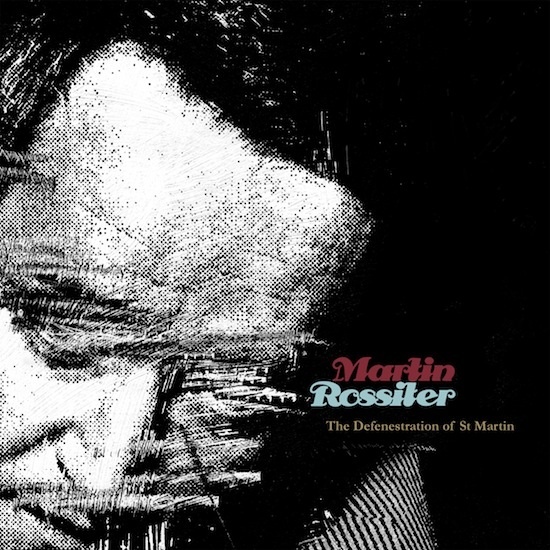 Martin Rossiter, the main man of 90s guitar pop greats Gene, is set to release his debut solo album, The Defenestration Of St Martin (artwork above) on November 26 via Drop Anchor Music. Mainly voice and piano compositions, the album has a strongly autobiographical bent, reflecting on Rossiter's Welsh heritage. Says Rossiter: "I've wanted to make this album for years. Ten beautiful songs, secular hymns, piano and voice – nothing to detract or distract from the melody and the words. Some of these words will undoubtedly make you cry. The melodies will turn to flesh the most calcified heart. For those of you with a chipper disposition you’re clearly here in error." Rossiter is releasing the album is being released in collaboration with Pledge Music, a crowdsourcing platform - head over to his profile and you'll be able to indulge yourself in a variety of Rossiter and Gene paraphernalia. The coat he wore while performing 'For The Dead' on Top Of The Pops has already gone, but you can still get hold of a sheet music book of the album, screen print posters of the album artwork and a digital EP of Rossiter's solo gig at Brighton's Unitarian Church. One per cent of the money raised, going up to three per cent once release costs have been covered, will be going to the League Against Cruel Sports.